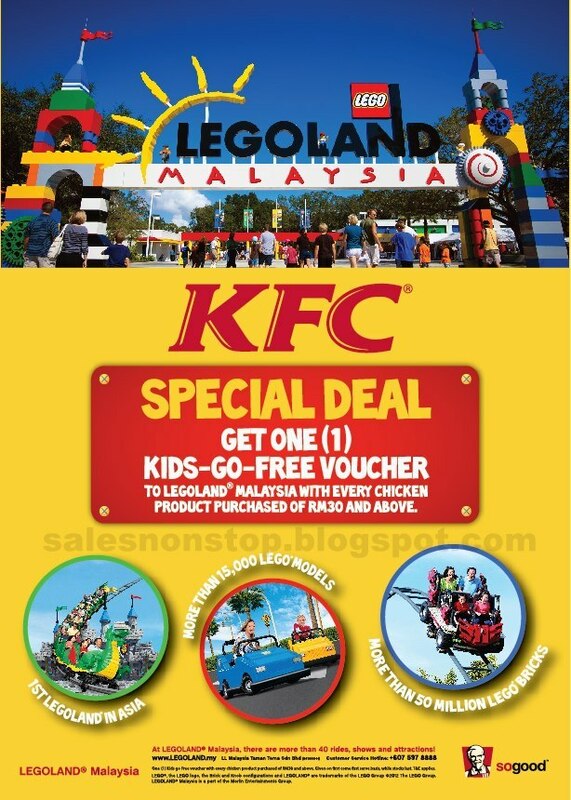 Get ONE Kids-Go-FREE voucher to LEGOLAND Malaysia with every RM30 and above spent on our KFC chicken products! Don't miss out this great offer! Click here to know more about LEGOLAND Malaysia, or find out LEGOLAND Malaysia Roadshow - Pre-Opening Passes & Tickets Promotion.